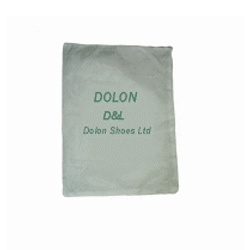 Shoe bags can be made in 42 gsm as per the size required by customers. Shoe wrappers can be made in 21x11, 12.6x30 or any other size as per the requirement in 20 gsm. These wrappers can be printed as per the design of co.